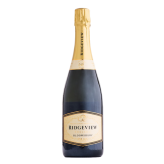 Ridgeview was founded in 1994 by Mike and Chris Roberts and is dedicated to creating world class sparkling wines in the South Downs of England. The vineyards specialize in growing classic Burgundian grape varieties to make the highest quality bottle fermented sparkling wines. The status of these wines is reflected by the national and international medals and trophies they have received since the release of the first wines from the 1996 vintage. The family’s second generation has established in key roles at Ridgeview and continue to expand the business. Their dedication, passion and determination have contributed to the international reputation and popularity now attributed to English sparkling wine. This passion and determination is shared by a great team of dedicated staff who are fundamental to the winery’s continuing success.